Ralph Hammond, a former two-term mayor of Arab, Alabama, who served as chief of staff, press secretary and speech writer for former Gov. Jim “Big Jim” Folsom, died this past Friday; he was 94. At NewSouth Books, he is chiefly remembered as Alabama’s eighth poet laureate. A sampling of his verse was included in a gem of a book we published showcasing the work of Alabama’s poet laureates, called These I Would Keep. 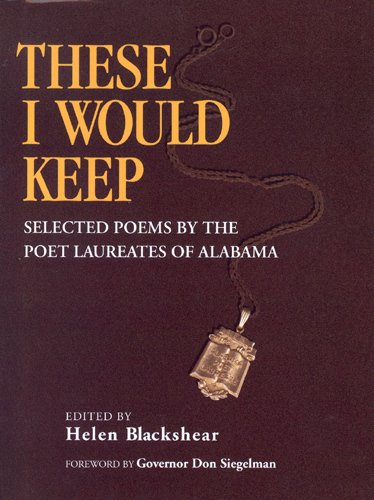 It was compiled by Alabama’s ninth poet laureate, Helen Blackshear, sadly, now also deceased. These I Would Keep is available from NewSouth Books, Amazon, or your favorite bookseller. You are currently browsing the archives for the These I Would Keep category.